If you already have a pemission of staticpages.PHP, please read from 3. 1. 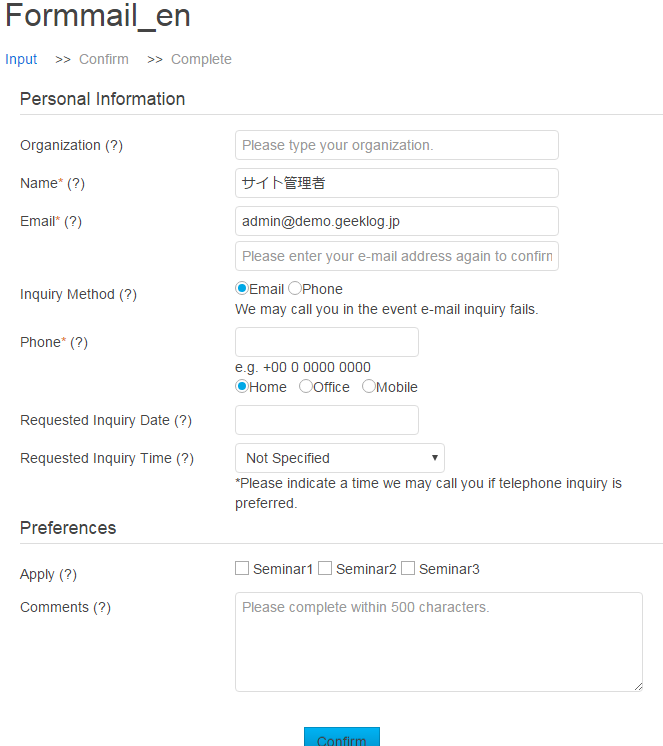 Login your geeklog site as admin and click 'group' of admin menu. 2. Edit 'static page admin' and check 'staticpages.PHP' to make PHP enable in static pages. 3. Go to 'staticpage' admin menu. 4. Click 'Creat New' and make a new staticpage with id:formmail. 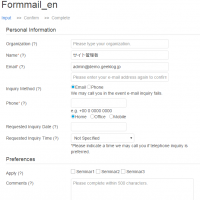 Copy staticpages_formmail_en.php and paste it in textarea. Uncheck 'In a block' box and save with 'execute php' option. 6. Add css, footer and header to your theme.